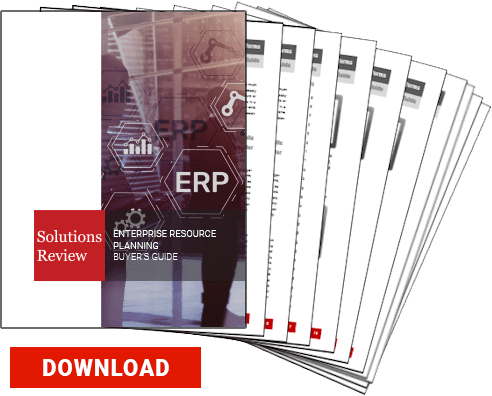 FeaturedCustomers released the 2019 Winter Manufacturing ERP Software Customer Success Report to give prospects better insight on which Manufacturing ERP Software would work best for their business according to real customer references. FeaturedCustomers, the world’s only customer reference platform for B2B business software & services, helps potential B2B buyers research and discover business software and services through vendor validated customer reference content such as customer testimonials, success stories, case studies, and customer videos. supply chain to help businesses achieve production goals. The software regulates business strategies with a suite of modules. In addition, ERP is utilized as a link to improve integration between all operation areas of the enterprise. “Manufacturing ERP software is easy to install and it simplifies the manufacturing process via automated scheduling, planning, and fulfillment. The system provides insightful data intelligence that decreases administration costs and speeds up decision making. An effective ERP tool is designed for the needs of the manufacturing sector. It simplifies the IT environment to make all business processes more effective and transparent,” FeaturedCustomers added. Market Leaders have the highest ratio of customer reference content, content quality score, and social media presence relative to company size. Top Performers are vendors with significant market presence and enough customer reference content to validate their vision. Top Performers products are highly rated by its customers but have not achieved the customer base and scale of a Market Leader relative to company size. Whereas Rising Stars are vendors that do not have the market presence of Market Leaders or Top Performers but understand where the market is going and has disruptive technology. Rising Stars have been around long enough to establish momentum and a minimum amount of customer reference content along with a growing social presence. Read the 2019 Winter Manufacturing ERP Software Customer Success Report here.